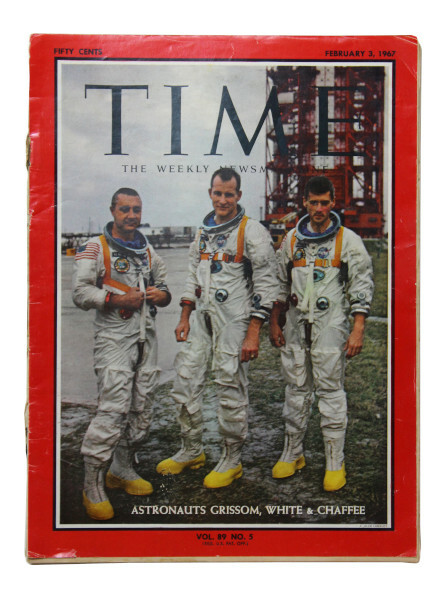 The cover of this issue of Time magazine features the crew of Apollo 1, Gus Grissom, Ed White and Roger Chaffee. It was published in the week following the tragic events of 27 January 1967 that claimed the lives of the crew. During what should have been a routine test, the astronauts were enclosed in the command module of the Apollo spacecraft on the launch pad. The test was supposed to run through the countdown of a simulated launch. After five and a half hours, a fire broke out and ripped through the capsule killing the crew before they were able to escape. 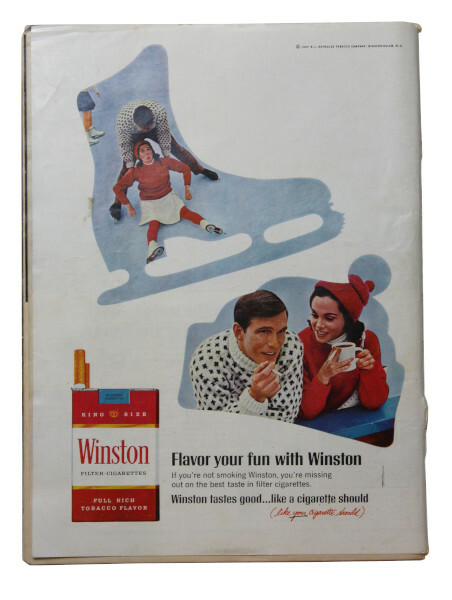 The magazine contains an article that recounts these events, featuring black and white photography from before and after the incident. It details how technicians outside the capsule desperately tried to loosen the hatch but were driven back by intense heat and smoke. It took six minutes after the fire broke out for the hatch to open, by this time it was too late. It also contains details of each of the astronauts' past achievements and possible theories of what could have caused the fire which ended their lives. 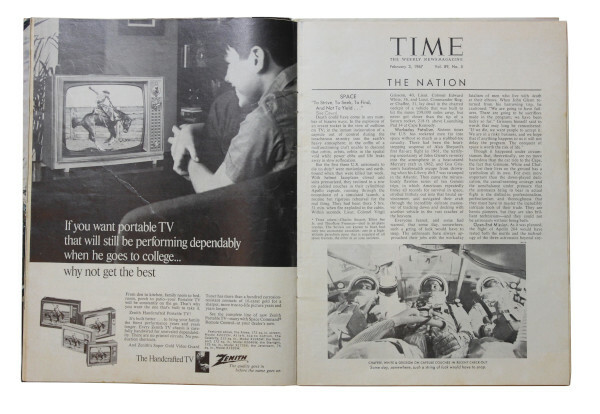 Time is an American weekly news magazine first published in 1923.